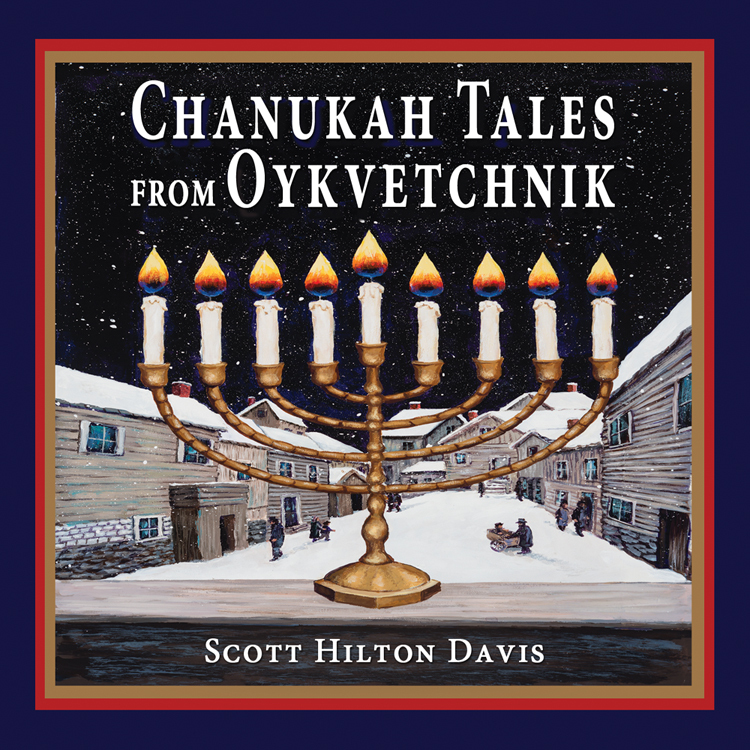 Celebrate the holiday of Chanukah, the Festival of Lights, with eight original short stories by Jewish storyteller Scott Hilton Davis. 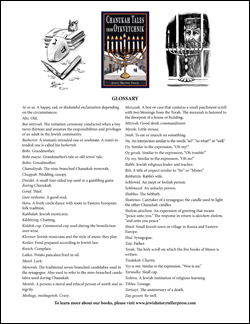 Enjoy a fun-filled journey to Oykvetchnik, the tiny shtetl town in Eastern Europe where people complain a lot (except during Chanukah when they seem to be a little more charitable). 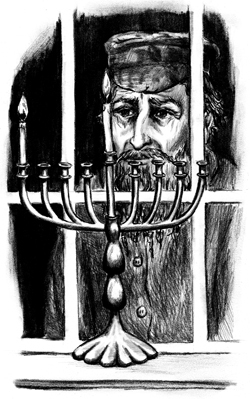 Meet Chaim the Chanukiyah, the nine-branched menorah, who feels out of place in his new home, Myzeleh the Mouse who helps a poor orphan boy find his true calling, Pinchas ben Mordechai who survives 25-years in the Tsar’s army, Reb Shimon the Shammes who has lost the synagogue’s big menorah, Channele the Rabbi’s daughter who finally meets her besherter (her soul mate), and the kind-hearted Dovidl who fears the town’s beggar may be the rightful owner of his family’s new pawnshop menorah. One for each night of the holiday, these sweet and poignant Chanukah stories will fill your heart with the light of Jewish history, culture, and values. As the candles burn low, spend a few minutes remembering the lives of our ancestors and how they joyfully celebrated their Jewish traditions. 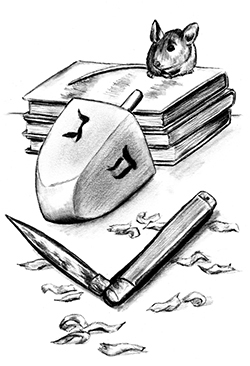 Chanukah Tales from Oykvetchnik is a storybook to be read each year as the chanukiyah comes off the shelf, dreidels start spinning, and the smells of freshly fried latkes waft through the house. 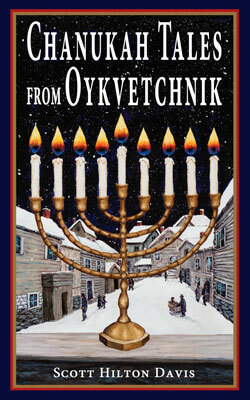 Chanukah Tales from Oykvetchnik is available in paperback, hardcover, Kindle ebook, and audiobook. Buy online or special order from your favorite bookstore.